Well, that didn't take long. Collin Sexton was drafted by the Cleveland Cavaliers just a handful of minutes ago and he's already trying to tell the King to stay home. Imagine if this was the change LeBron needed to see? To defend Sexton, he is what James has been missing- a guard who can score. No, we aren't counting JR Smith who's a streaky scorer or Kyle Korver who's strictly a shooter. He needs someone who can take the ball, wave everyone off, and create on his own. That's exactly what Sexton is. 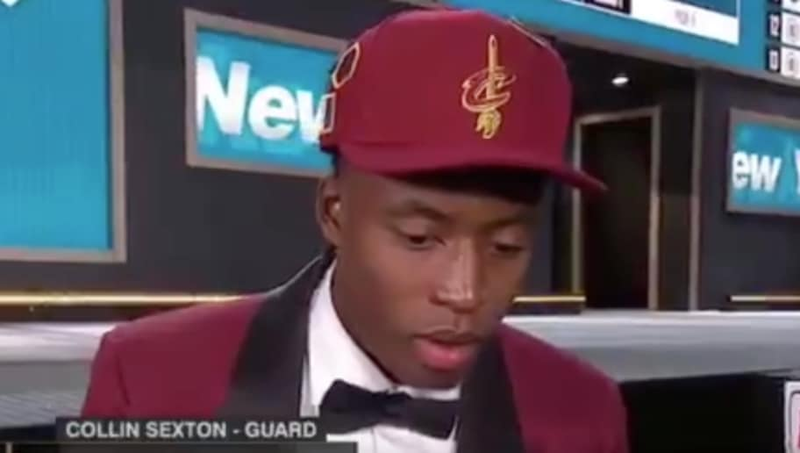 The Cavs were ultimately won over by Collin Sexton's competitiveness, character and overall drive. He did not have a knockout individual workout in CLE in terms of skill work or shooting, but the team was enamored by him as a person and what they saw from him in game settings. It's hard to believe he'll blossom into what Kyrie Irving was or even a great player by any means, but he's a nice piece in that lineup. We all know the ball is either going to LeBron James, LeBron James, or LeBron James when this team needs points. Instead, James can possibly take a possession off as Kevin Love and Sexton run the pick and roll. You heard the man, LeBron. Come back home.